Day 2 of BLAW 2018, comes from Jenny. Jenny shares the story of her little boy Judah and how she has created a beautiful legacy in Judah's name - Judah's Cloud. In July 2017 we were expecting our second child. Our daughter was just two when we found out we were pregnant but she would turn 3 before her new baby brother arrived. The pregnancy went smoothly and quickly until 39 plus 4 when we discovered he’d turn himself into a breech position. Due to his gestation and size we opted for a c-section, however we couldn’t get an elective appointment until 5 days after my due date. At the time we questioned the date but with the promise we would be seen if I went into labour, we left happy and ready to prepare for his arrival. On the day of the c-section I woke abruptly at 3am. Something was wrong, I could sense his absence so strongly, something I never imagined mothers would be able to do. There’s no way to fully describe the disconnect you feel when your child dies in the womb, but he was gone and I knew it. I suddenly felt like a person in a film screaming on one side of the glass whilst the person on the other side is oblivious. After trying everything to wake him, we took ourselves to triage where FDIU (fetal death in utero) was confirmed shortly after 4am. After receiving the news that our son had died, we went home and moved all the baby related items into one room and closed the door. We took the car seat out of the car, knowing he’d never be coming home with us. Our daughter was coming back to our house with family whilst I was induced and I couldn’t bear for her to face a cot or pram after what we were going to tell her. Whilst we had those brief moments alone between leaving the hospital and coming back for induction, we desperately searched the internet for advice on talking to young children about stillbirth. Everything we read told us to be very clear using words like “died”, “dead” and “gone”, and not to use phrases like “sleeping”, “born asleep” or “too poorly”. There are many blogs that talk about the heartache and the pain of the following weeks, months and years, but parenting an older sibling was something that very few people talked about at the time. We took the small nuggets of advice and came up with words we were emotionally, practically and spiritually in agreement with. I sat down my tiny three year old, held her in my arms and in the the numbness of the pain found the words “your brother has died, he’s in heaven now and he won’t be come home with us”. In hindsight that was the easy bit. As she grows and discovers more of what she lost, I find myself carrying my own grief and somehow hers too. At the time she didn’t understand what a brother was, but as she grows new waves of grief hit as she realises all that she has lost. On Saturday 5th August at 7.55am, Judah Christopher Walsh was born weighing the exact same weight as his sister of 8lb 11oz. The staff bathed and dressed him and we returned home to Aveah the same day. Already I was pulled between two worlds; parenting a baby who had died (and believe me you still parent a baby after death) and parenting a child that so practically and emotionally needed me. I would be lying to say being mum to a living child wasn’t influenced by being Mum to a dead child, and not just in the ways you would assume. I hold her closer, I thank God for every minute with her, I fear for her safety beyond any normal level but I also face new pain every day as she reminds me of the hole in our family. Thankfully our incredible midwifes encouraged us to return and we spent many visits over the next 10 days holding him and making the only memories we’d ever get. The care and support we received from our hospital was beyond what words can even begin to describe. I can never thank the staff enough for crying with us, laughing with us and being there every step along the way. There’s never a good way to lose a baby, but the support we received was the best possible and I’m not sure I’d be here able to speak about my experience if it wasn’t for that. The hospital bathed and dressed Judah, and provided everything we needed. There were aspects that we quickly came to realise we were incredibly blessed to have access to. Simple things we took for granted like clothing that fitted because Judah was a term baby and the perfect white 3D foot cast the hospital had prepared for us. Judah’s foot cast we received from the hospital and inspiration for starting Little Cloud Casting. Seeing what they’d done for us and knowing that everyone wouldn’t get the same opportunities, and in the heartbreak and need to make our pain worth something, we simultaneously established a business and a charity. 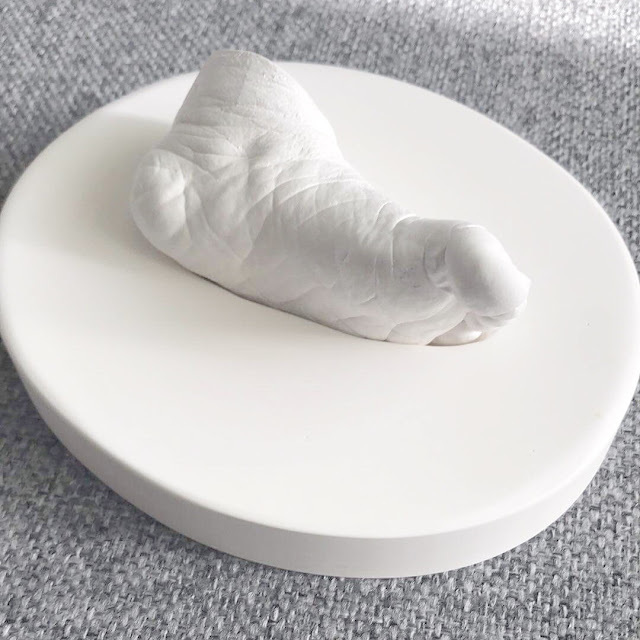 The business was to create beautiful 3D casts for families, whether their baby lived or not - something I hadn’t found accessible in my area. We wanted to create a professional and beautiful service that was proud to work with babies who had died and allow parents to keep a vital memory. The charity started to create and provide clothing for babies; allowing parents of any size baby to dress them in a real sleepsuit and hat. The latter is still in process and we’ve recently launched clothing boxes into three hospitals in our area. 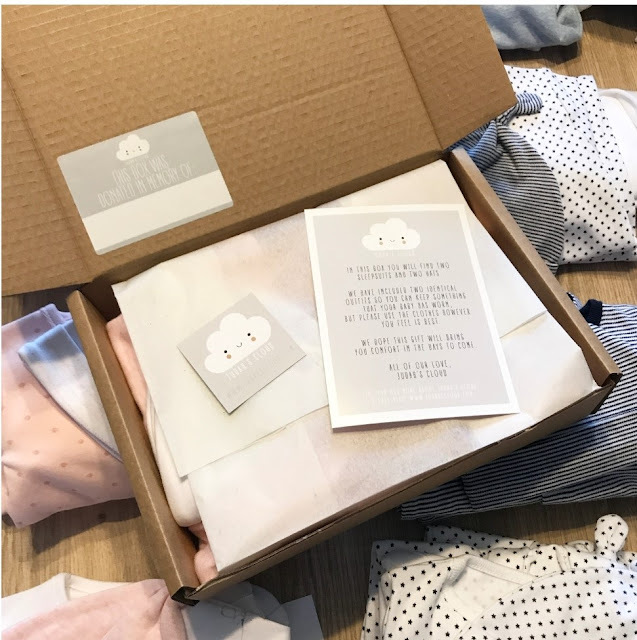 Each box contains two of everything; so parents can keep something their baby has worn. 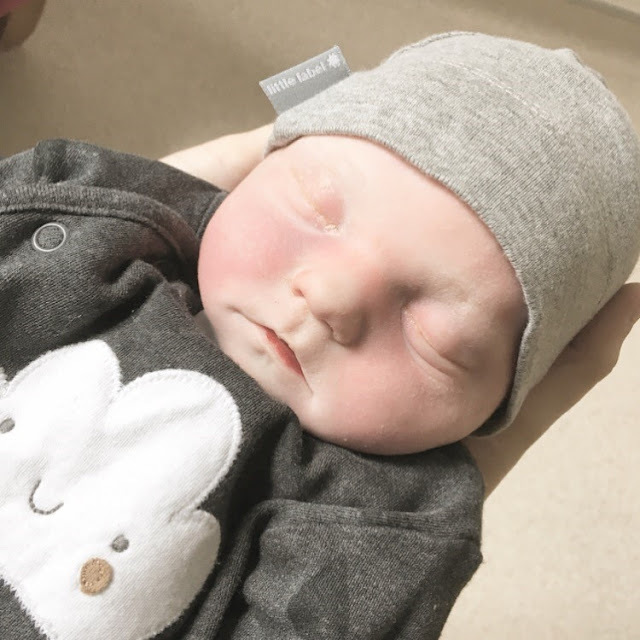 We desperately sought out a sleepsuit Judah was cremated in, and we wanted to help remove that search for parents in the future. Going forward we want to meet the needs of bereaved families and clothing is just one aspect of that. Packing the boxes provided by Judah’s Cloud to maternity units. Each containing two identical outfits and a little quote card to keep. If you’d told me 18 months ago I’d be in this position, doing this and going through what I’ve been through, I wouldn’t have believed you! But each day I’ve woken up, kept going and slowly days turned into weeks, that turned into months and now over a year later aspects of me feel like they’ll always be broken, and aspects have already “healed” (excuse the cliche term). I wasn’t brave like people tell me, I wasn’t courageous, I just stayed alive and woke up each morning. If you are reading this and the overwhelming sense of grief is there right now, know that it won’t always be. I’m not sure at what point I felt like I’m no longer holding my breath, but I did. At some point I started to enjoy life again, even though there’s still moments or days where the wave of grief is overwhelming. Each day I find new ways to remember my son without living in despair and knowing that moving forward isn’t moving on. Thanks so much Jenny for sharing Judah and your wonderful charity with us. You can find out more about Judah's Cloud here.